NOTE: This Product Requires Ear Impressions. Included is a do-it-yourself impression kit. Plug these directly into your LEADNAV GPS powered iPhone or iPad for Off-Road and Backcountry Navigation straight to your ears. Giving you eyes free audio guidance. "In 500 meters Danger.. large rocks, stay to the right"
"In 200 feet stay left at the fork"
The Generation I Challenger "C" were designed as a monitor for the person who wants a stereo or bin-aural sound mix piped directly into his or her ear canals. Our custom molds are perfect for high noise communications applications. The Generation I Challenger is contained in our JB1000 silicone material. 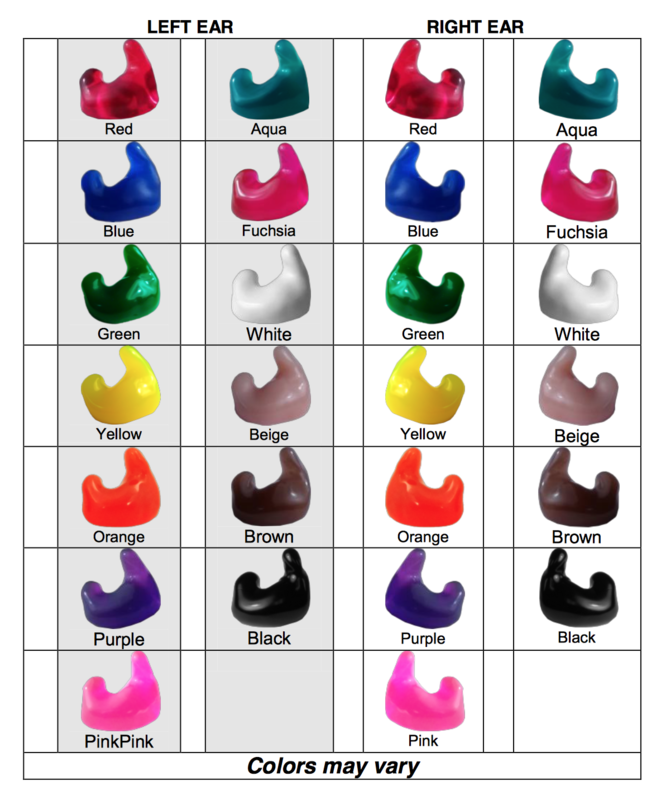 JB 1000 is a medical grade silicone material that is Super Soft and provides a complete seal of the ear canals from outside noise. The full helix earmold design of the Challenger "C" provides a flexible water resistant seal of the ear canals that allow affordable, customized high quality audio to go wherever you go. The Generation I design comes with a 52” stereo cord but can be custom ordered with a 19" cord for connecting directly to bluetooth helmet mounted units. The Challenger blocks up to 28Db of ambient noise. This model can be used for more active use such as jogging, gym, motorcycling or even multimedia use. 1-3 week turn around depending on upcoming events. Order Early! Choose to either use the DIY Ear Mold Impression kit <OR> get them done yourself at a local ear doctor. Either way you will receive a shipping box for your impressions and instructions. Package your Ear Impressions up and ship them to the address on the box. *NOTE FREE shipping is offered on the box however this method offers no tracking so we recommend shipping them priority mail. Once your Challenger Ear Molds are complete they will be shipped back priority mail. The Kit consists of 3 pairs of foam Oto Blocks, 1 Syringe, 2 part silicone impression material (3 containers of green/white material), 1 mailing box and an instruction booklet. Save a trip to the hearing aid doctor, and make your own impressions, send them in and get your custom molded ear pieces!